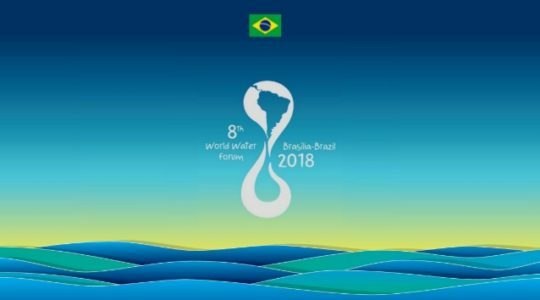 The 8th World Water Forum is taking place in Brasilia from 19th to 23rd of March 2018, with the objective of gathering all water stakeholders, including non-governmental (NGOs) and civil society organizations (CSOs). However, the Butterfly Effect, an international coalition of civil society organizations, deplores the failure of the support mechanisms jeopardizing inclusive participation. The success and impact of an international event like the World Water Forum can only be guaranteed if it involves all stakeholders, including civil society, particularly from the global South and from countries facing the most pressing water challenges. Many NGOs and CSOs expressed their will to contribute to the discussions, therefore ensuring the quality and the inclusiveness of the Forum. We acknowledge the efforts made by the 8th World Water Forum to include different stakeholders, by calling on all sessions to integrate a diversity of panelists and specialists, by organising a Citizens’ Forum and by providing financial support to civil society organisations actively involved. The financial support was not sufficient: within the global budget, a very limited amount was dedicated to facilitate the participation of CSOs. The selection criteria of the Citizens’ sponsorship Programme were not applied consistently: while the call insisted on regional balance and non-OECD countries, very few people from Africa and Asia got sponsored. From the people who were selected, around 10% could not actually attend, due to last minute withdrawal of the financial support for travel. The lack of timely and transparent communication added to the problem. Loss of trust in the organisation process. This is unacceptable and disrespectful to the people and requires an official apology from the organizers, as well as the reimbursement of the expenses incurred by people whose financial support was withdrawn. We must recall that significant participation of civil society in the Forums is not optional and cannot be changed at will. A guaranteed and substantial sponsorship allocation should be put in place and effectively implemented for the Forums. It is essential that the sponsorship process is prepared and managed by a knowledgeable organisation. Unfortunately, it was not the case in Brasilia, a strong disappointment for NGO and CSOs. More than ever, the Butterfly Effect calls for an effective inclusion of civil society organisations in the World Water Forums, through a transparent and timely process and an adequate sponsorship. On behalf of the Butterfly Effect members : Action Against Hunger, ANEW, AOSED, BORDA, Coalition Eau, Eau Vive Internationale, Envi Sudan, FANMex, Green Cross International, International Secretariat for Water, Jeunes Volontaires pour l’Environnement Togo, Secours Islamique France, Women for Water Partnership.